Master student Murat Huseyin Unsal from Turkey Namik Kemal University had two months traineeship in the autumn 2018 in the Department of Environmental Protection and Water Engineering. The internship was supervised by prof.dr. Saulius Vasarevičius. During this period, the student performed research on solar cell waste and evaluated their potential use in the production of concrete constructions. The results of the study will be used in the master thesis of Murat Huseyin Unsal. On leaving, Murat mentioned that he “met with new people, new culture and created new friendships” also he “had wonderful time in Lithuania”. European Committee for Standartization (CEN) responsible for the preparation of European Standards. They are based on a consensus, which reflects the economic and social interests of 34 CEN Member countries channelled through their National Standardization Organizations. One of the most important CEN organizations is Strategic Advisory Body on Environment (SABE). The main aim of SABE is inclusion of the environmental aspects in to the standards. SABE experts meet twice a year. 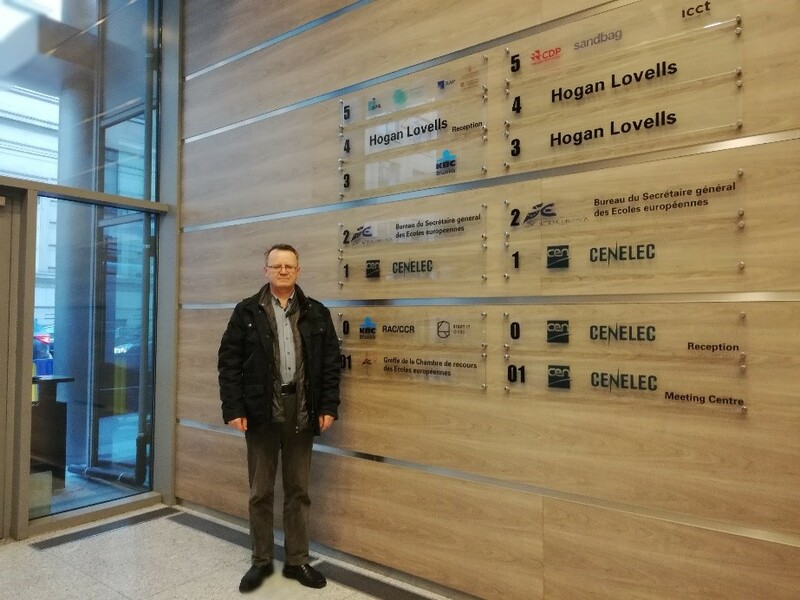 Prof. Dr. S.Vasarevičius participated in the 38th SABE meeting that take place at CEN organization in Brussels on 17-18 of October 2018. At the first day work was organized in three groups: Strategic issues: Environmental Monitoring Strategy Team; Products and services: Environmental Issues in Standardization; Environmental Management: Environmental Management Team. 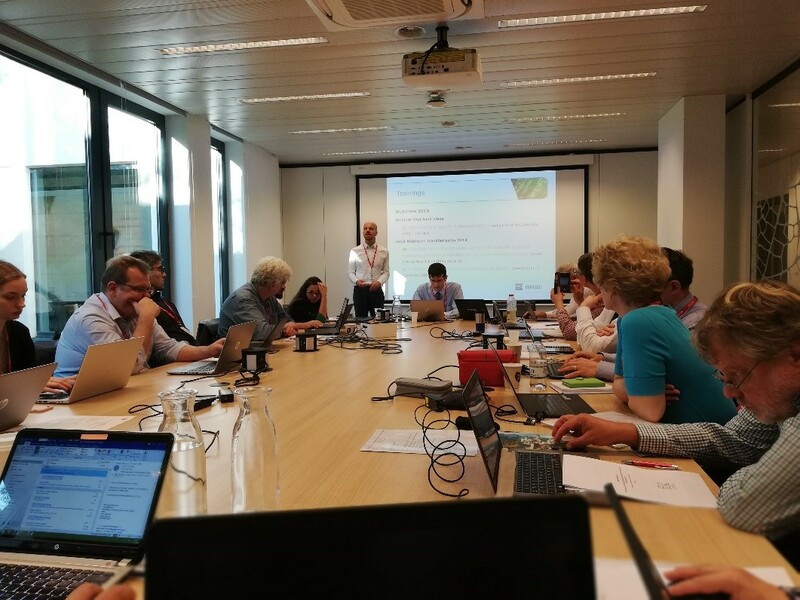 At the second day was join experts meeting with discussions about different environmental topics: Sustainable chemicals, Circular economy initiatives, Plastics strategy etc. S.Vasarevičius joined two experts groups: first one who works with circular economy documents and second one that is responsible for the education about environmental aspects in standardization. All groups will continue their work and will present their results at the next participated in the 39th SABE meeting that will take place in Spring 2019. Work results. During the project, in the articles and in the radio show, the residents of Lithuania were informed about the extent of the waste of food, the consequences of the entry of these wastes into landfills. A food waste chain that is parallel to the food production generates many negative externalities. First of all, energy, heat, water and other natural resources that we use to consume our excess energy. In addition, greenhouse gases are emitted into the atmosphere. In addition to environmental damage caused by the production of food, the costs of treating and managing waste as well as the loss of earnings of production companies must be borne in mind. In waste landfill food waste not only emits unpleasant odors but also emits greenhouse gases, thereby contributing to climate warming. Moreover, releasing harmful substances, they pollute the soil and water. Work results: In the article the residents of Lithuania were introduced to the tendencies of use of plastic packaging. It is one of the most commonly used types of packaging and it is about 10-12 percent of municipal waste stream. Various light plastic bags that are used by shoppers in supermarkets for fruits, vegetables or other food items go to the bin. In order to reduce the volume of plastic bags usage, a wide range of alternatives are being sought - from recycled paper bags, cloth and nylon reusable bags to fully biodegradable bags made from potato or maize starch.The paper also presents innovative materials used by VGTU scientists - cellulose nanocrystals. It is powder from cannabis fiber that can be used to produce organic packs. Such packaging would be nearly one third stronger and would decay more than twice as fast as conventional plastic packaging. The article "Reduction of Water Damage in the Water Supply System" was prepared. Author: M. Rimeika. The article was published in the magazine “Structum“. Execution term: October 2016. Work results: Water management is an important part of urban infrastructure. The well-being of the population, their health and economic development are directly related to its state and quality of work. According to the Association of Lithuanian Water Suppliers in 2015, water losses in Lithuanian cities range from 17 to 52%. The average amount of water lost in the Lithuanian water supply system is about 25%. Losses are incurred in all pipelines, electricity, heat, hot water supply and similar communication networks. However, according to the statistics provided, the country's plumbing economy suffered the greatest losses from all engineering communications. The amount of water lost in the country is higher than the amount of water consumed by all the users of Vilnius city per year. In addition, water losses are one of the indicators of the company's performance efficiency. The International Association‘s of Water Suppliers recommended and tolerable water loss level is 10-15% that‘s why water supply companies in the country need to do a lot of work to reduce water losses and waste of natural resources. (http://www.structum.lt/lt/article/vandens - fault-reduction in the water supply). Work results. The article presents the works performed by VGTU scientists and their impact on the development of science and society. The public is introduced to the scientist‘s profession and career prospects, which is especially important in forming the attitude of young people towards scientific activity. Prof. Dr. Pinjing HE is an international expert in the waste management field. He is a full professor of College of Environmental Science and Engineering, Head of Institute of Waste Treatment & Reclamation at Tongji University, and Head of the Centre for the Technology Research and Training on Household Waste in Towns & Rural Area committed by Ministry of Housing and Urban-Rural Development of P.R. China. His research activity includes fundamental and applied aspects of waste management, with focus on biological, thermal treatment systems and sustainable landfilling of waste. He is an author of over 500 articles and chapters in peer reviewed journals, conferences and books, and has been listed in the Elsevier 2014, 2015, 2016, 2017 most cited Chinese researchers in Environmental Sciences. He was the vice president of International Waste Working Group (IWWG) in 2013-2014 and a Board member of IWWG since 2011. Atmosphere protection - atmosphere pollution, air pollution research and air cleaning technologies, environmental monitoring, renewable energy sources, mathematical modelling. Hydrosphere and soil protection - surface and ground water, wastewater, soil pollution control and its prevention, waste management, mathematical modelling. Anthropogenic impact on environment - landscape management, anthropogenic pollution and biodiversity, anthropogenic impact on environment and human health, climate change and its indicators, environmental protection management and economics. Physical pollution of environment - vibration, acoustic noise, thermal pollution, electromagnetic fields, ionizing radiation, physical pollution reducing means, mathematical modelling. Conference will be on 9th of April 2015 at the Faculty of Environmental Engineering (II building) in Vilnius Gediminas Technical University, Saulėtekio ave. 11, Vilnius, Lithuania. to bring together environmentalists, specialists from private sectors and administrative representatives. The Conference is intended for junior researches to present their research works and exchange experience. Atmosphere protection - atmosphere pollution, air cleaning technologies, climate change and its indicators, environmental monitoring, modelling. Hydrosphere and soil protection - water, wastewater, soil pollution control and prevention, water and soil treatment technologies, waste management, modelling. Anthropogenic impact on environment - landscape management, biota protection, anthropogenic pollution and biodiversity, anthropogenic impact on environment and human health, environmental protection management and economics. Physical pollution of environment - research of vibration, acoustic noise, thermal pollution, electromagnetic, ionizing radiation, etc., modern control methods and modelling. Participants are free of registration and article printing fees. Participants accommodation searched by themselves. Accommodation and travel expenses are paid by the participants. All papers will be peer reviewed. The original, in-depth articles, related to the conference topics, meet the requirements of scientific articles, after the review and selection will be published in one of presented below position: in the periodic reviewed scientific journal “Science - Future of Lithuania”, which is assessed in international databases (ICONDA, Gale, EBSCO Databases, Ulrich's, Index Copernicus); in the planning conference proceedings "Environmental Protection Engineering. The 18th Conference of Lithuanian Junior Researchers “Science – Future of Lithuania”". A collection of articles (9th April 2015), which is abstracted in the international database (Index Copernicus). Ineligible items will not be printed. For the participants, registered before 1th February 2015, the conference program and the requirements for posters and oral reports of the Conference will be sent.